It goes without saying that we love young mums here at Little Lullaby, and we love reading all about their adventures! Young mum Ellie (pictured above with her partner and baby Isaac) not only blogs here on Little Lullaby (read 18 things she wishes she knew about pregnancy here) but also writes about different parts of her life at her personal Tumblr A Young Mother’s Life. Alexandra was 19 when she fell pregnant during her final year at college. Now she’s a mummy to 3-year-old Lily, is in her third year of uni and somehow fits in time to write her blog, Young Mummy Survival Guide! Read Alexandra’s guest blog for Little Lullaby on budgeting and saving money as a young parent. Raising Brai Becca had her daughter Brai when she was 15 and is now pregnant with another little one 🙂 These two are a proper team and Becca’s honesty is really inspiring. Read her blog Raising Brai here or read about the 5 things she wished she knew before she became a mum here. Olivia is a 20-year-old mum to little Rosie, who’s a real explorer! Olivia’s blog, Rosie Posie’s World, tells the story of her own experiences as a student mum, plus lots of gorgeous pictures of Rosie’s adventures! Charlie is mum to two gorgeous little boys — her blog is all about JJ, who has additional needs, and the challenges she has found along her way as an additional needs parent. Follow their story at Charlie’s blog, Helping JJ, or read her blog for us about 5 small things you can do to support an additional needs parent. Sophie is mum to Delilah and Indiana and blogs about everything from feeding and PND to what to pack in your baby bag 🙂 She even filmed a video for us about what to pack in your baby bag. She blogs as Mummy Deer — her photos are just too cute too! Follow her on Instagram @mummydeer1. 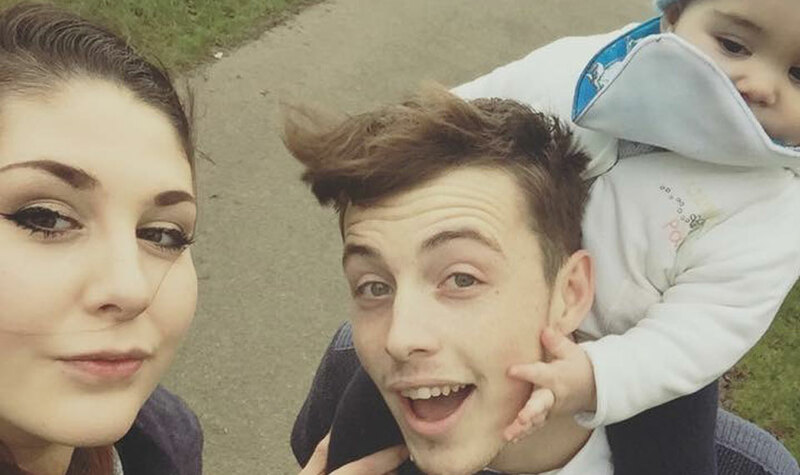 Hannah got pregnant when she was in the middle of her A-levels and is now at university. She writes about what it’s like to be both a student and a mum in a very personal way on her blog. Hattie (21) and Mallory Bourn (24) are sisters who write their blog, Bourn Sisters, about fashion, beauty and motherhood together. Their posts cover everything from baby routines and birth to beauty essentials and travel. Maddy found out she was pregnant at 19 and has since written on her blog, The Speed Bump, through pregnancy, studying, parenting a newborn and graduation. She’s even written a complete guide to ‘balancing books and a baby without going crazy’: The Student Parent Survival Guide. We adore Alice’s blog for her fun crafty projects and gorgeous pictures, not forgetting the lovely colours! Alice is 21 and is mum to the gorgeous Amelia, who’s 2. She started her blog, New Young Mum, to answer all of the questions she had when she was pregnant — a girl after our own hearts! We love how Leah describes her motherhood journey: “Usually having kids comes last, but in my fairy tale they came first.” The 23-year-old posts on Instagram about make-up, things to do with children and her life as a mum. Life with Pink Princesses follows the very pink adventures of Jodie, her hubby and her 3 princesses. She blogs about reviews of baby products plus her life as a mum.